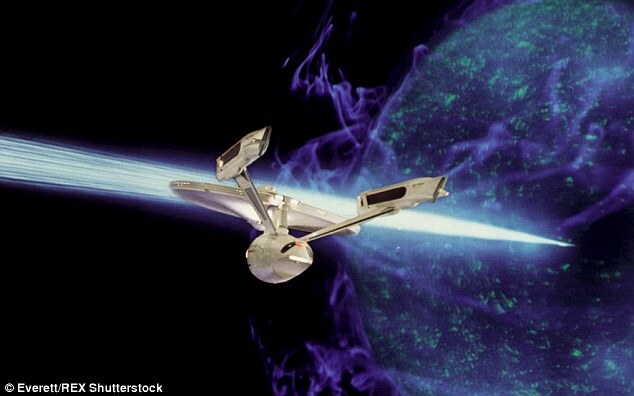 Astrophysicist Geraint Lewis from the University of Sydney in a speech explained that, theoretically at least, super-fast warp speed travel is probable according to Einstein’s theory of relativity. All we have to do is find the right materials to accomplish it. Lewis told ABC Science in an discussion before his appearance in Sydney “If you look at the equation that Einstein gave us, it shows you can bend and warp space so you can travel at any speed you like in the Universe,” Obviously, the difficulty is that even if warping space is theoretically possible, we have no clue how to do it. To reach warp speed, it won’t be our rockets that need upgrading. According to Lewis, rather than upgrading our rockets we’ll need to find a material that has a “negative density energy”. This is something that the NASA’s Eagleworks lab is studying at the moment. Run by mechanical engineer Harold ‘Sonny’ White, the lab last year made mock-upsof what a possible warp drive spaceship might look like. As you can all see above, the ship is suspended within two huge rings, which would hypothetically generate a warp bubble that twists space around the spacecraft. This is the similar type of thing that Lewis is suggesting, and it means that the ship itself would never essentially be roaming faster than the speed of light – it would basically twist space to make its target closer, so it wouldn’t need to break up any of Einstein’s laws. One thing’s for certain, if we do ever discover a material with negative density energy and then find how to handle it, it would certainly revolutionize space travel. According to calculations, White’s hypothetical warp drive spaceship could get to our nearby neighbouring star system, Alpha Centauri, in “two weeks as measured by clocks here on Earth”. And that’s something we definitely need if we ever want to get serious about traveling and exploring the Cosmos.